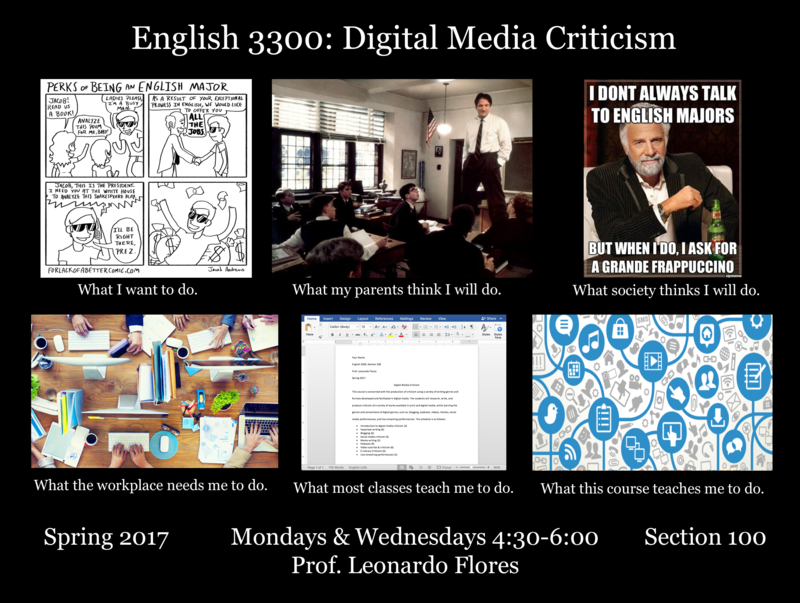 I would like to invite you to take my INGL 3300 Special Topics course next semester, titled Digital Media Criticism. This course will be offered Mondays and Wednesdays from 4:30-6:00 pm. 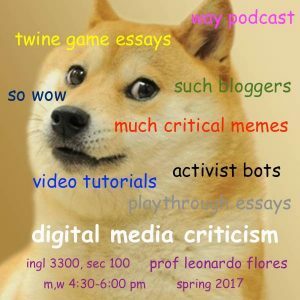 This course is concerned with the production of criticism using a variety of writing genres and formats developed and facilitated in digital media. 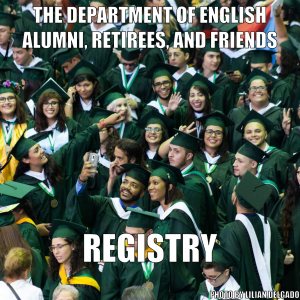 The students will research, write, and produce criticism of a variety of works available in print and digital media, while learning the genres and conventions of digital genres, such as: blogging, podcasts, videos, listicles, social media performances, electronic literature, and live streaming performances. Since the rise of the Web in the 1990s, digital media have given rise to and encouraged diverse means for expression and communication that are distinct from the print-based writing and criticism taught in the English Department. A course that trains you in a variety of alternative genres and formats as vehicles for serious criticism will offer them an important set of experiences and theoretical tools for the 21st century job market. Who am I and what are my qualifications? 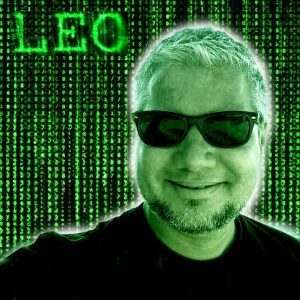 I have been creating websites, blogs, online videos, electronic literature, and writing critically in and about digital media since 1999. Check out my blog for more details. You can also read a very nice feature my DH Internship students wrote about me. Here’s the flyer for the course. Hope to see you next semester!